The 2019 Chevrolet Silverado 1500 and 2019 GMC Sierra 1500 are getting complete updates for next year. So here are some fast facts about the new features of these new trucks. 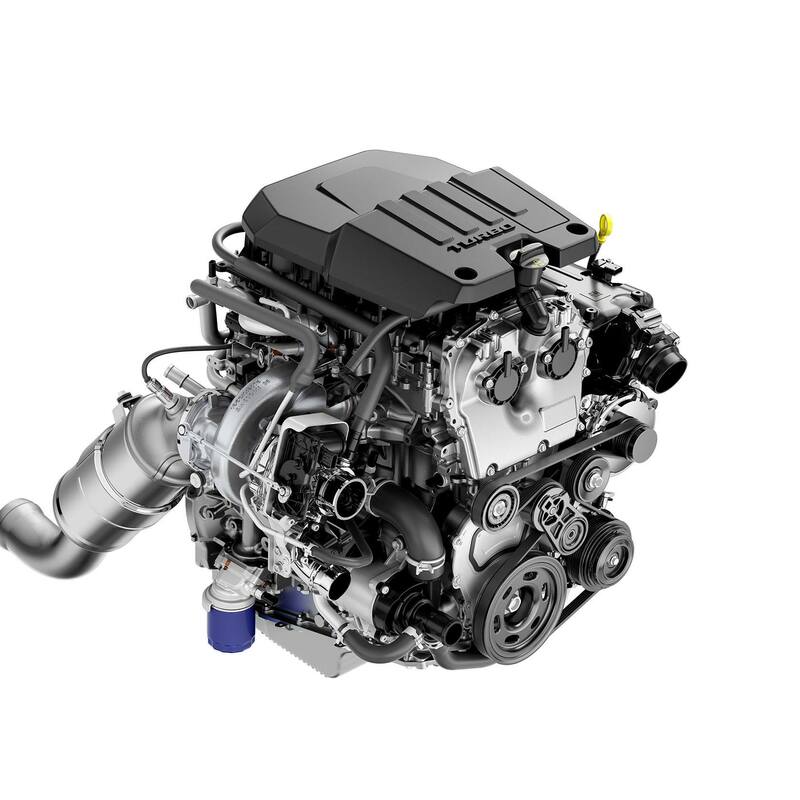 Both trucks will utilize the same V8 and new diesel engines but the Silverado 1500 will also be available with the 4.3L V6 and a new 2.7L turbo inline-4. Just like the engines, the transmissions available on the Silverado and Sierra carryover from the previous generation with one new transmission joining the group. Both pickup trucks are now bigger than the generations they replace. Wider, taller, and longer, both trucks offer more space for occupants as well as a larger bed for more cargo. But despite the larger size, they are up to 450 lbs lighter than the outgoing trucks. This is thanks to the use of aluminum throughout the body. The 2019 GMC Sierra 1500 will also be the first pickup truck ever to use a carbon fiber composite box. Called the CarbonPro, it replaces the standard steel inner panels and floor with lightweight and durable carbon fiber composite. The CarbonPro box is 62 lbs lighter than the steel version. 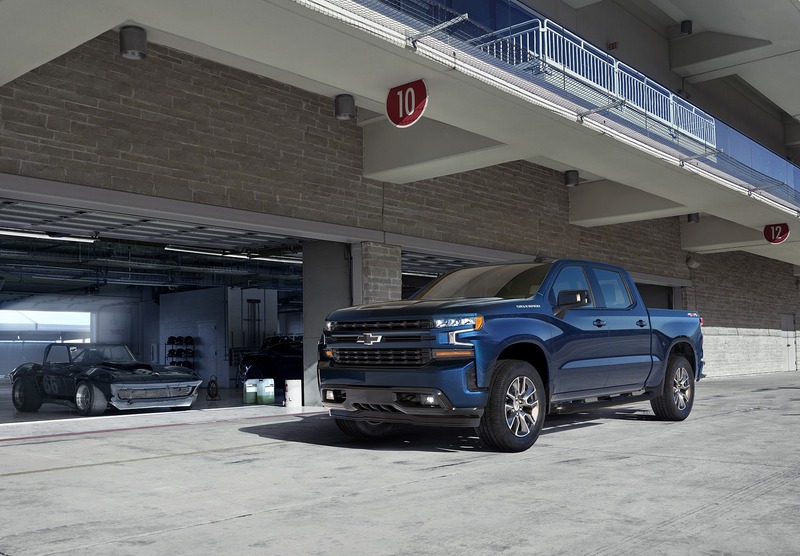 In addition to the new exterior and interior design cues, the 2019 Chevrolet Silverado 1500 will also be updated with new safety and convenience features. Some features carryover such as lane departure warning and blind spot monitor but new features such as emergency automatic braking, front pedestrian detection with automatic braking, 360 surround view cameras, push button start, heads-up display, and a power operated tailgate are now available on the Silverado 1500. 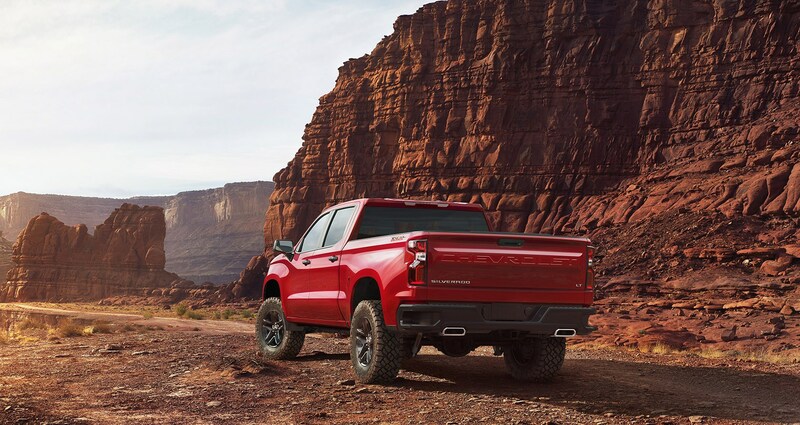 The Trail Boss trim is also new for the 2019 Chevy Silverado 1500 which adds a factory 2-inch suspension lift, Rancho monotube shocks, Goodyear Duratrac all-terrain tires, and unique styling. 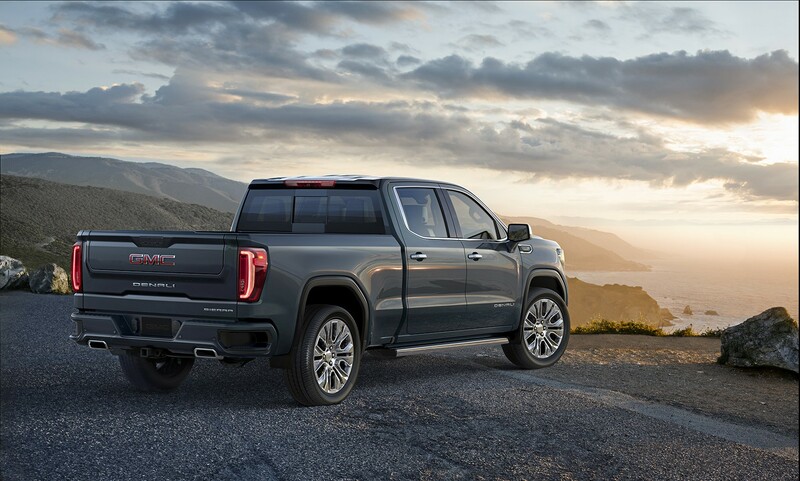 Like the Chevy Silverado 1500, the 2019 GMC Sierra 1500 features a lot of the same safety and convenience features. 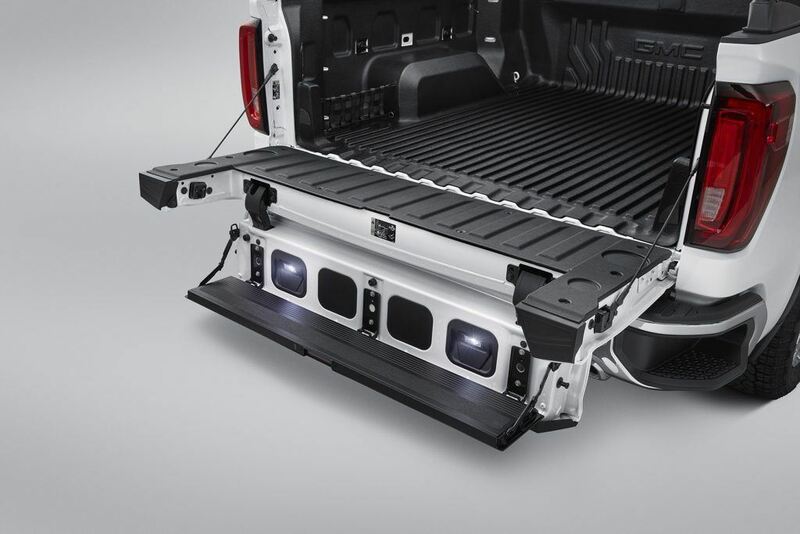 But the biggest difference between the two, besides the looks, is the new tailgate that the Sierra is available with. It is an industry first and is called the MultiPro Tailgate. It features an inner gate with an inner flap that can be used to prevent longer items from falling out of the bed when the tailgate is open or the inner gate can be used as a step to get into the truck bed. With the new styling, new engine and transmission choices, as well as new features, consumers have more choices than ever before when picking a new pickup truck. So which one will you choose?